Note: BOND vs UNITED STATES - U.S. Supreme Court RULING . . . CORPORATIONS: As I mentioned earlier, a corporation is a fictional character or entity in law, created by the government, which makes that fictional character or entity the intellectual property of the government but you are never told that! Corporations can own any number of other corporations but can never own a flesh and blood human being! All laws created under this parent corporation will essentially become corporate laws and regulations to govern the parent corporation and all subordinate or sub-corporations owned by the parent. These corporate laws and regulations are called statutes and their affect and control over human beings is deceptively obtained by consent through civil contracts. Look up the word Person in any modern law dictionary and you will see that a person is regarded as a corporation and not a flesh and blood human being. Our federal government has instructed our federal, state and local police agencies that everyone who purports to be a SOVEREIGN should be TREATED as a TERRORIST! They have also brainwashed the American public into believing that being a SOVEREIGN is anti- American and unpatriotic! Perhaps this is “The POT calling the KETTLE black"? x Bond vs. UNITED STATES, 529 US 334 – 2000, The Supreme Court held that the American People are in fact Sovereign and not the States or the Government. The court went on to define that local, state and federal law enforcement officers were committing unlawful actions against the Sovereign People by the enforcement of the laws and are personally liable for their actions. x Bond v. United States, 529 US 334 – 2000 – Supreme Court – Cited by 761 litigants in other cases. 4] In order to promulgate and enforce Criminal Laws to govern the SOVEREIGN public, government must be SOVEREIGN too, which is an accepted RULE of LAW derived from the, Ancient Law of Kings. Corporations are not and can never be SOVEREIGN. They are not real; they are a fiction and only exist on paper. 5] Therefore, all laws created by these government corporations are private corporate regulations called public law, statutes, codes and ordinances to conceal their true nature. Do the Judge and your lawyer know about this? You bet they do! The Missing 13th Amendment - by Judge Dale, retired . . . Note: Since the government bodies are not SOVEREIGN, they cannot promulgate or enforce CRIMINAL LAWS; they can only create and enforce CIVIL LAWS, which are duty bound to comply with the LAW of CONTRACTS. .The Law of Contracts requires signed written agreements and complete transparency! This is how and why we MUST NOT Consent . . . .
USA, INC. - Historical Outline - Condensed . .
1st: Martial Law is declared by President Lincoln on April 24th, 1863, with General Orders No. 100; under martial law authority, Congress and President Lincoln institute continuous martial law by ordering the states to either conscribe troops and or provide money in support of the North or be recognized as enemies of the nation; this martial law Act of Congress is still in effect today. This martial law authority gives the President (with or without Congress) the dictatorial authority to do anything that can be done by government in accord with the Constitution of the United States of America. This conscription act remains in effect to this very day and is the foundation of “Presidential Executive Orders” authority; it was magnified in 1917 with The Trading with the Enemy Act (Public Law 65-91, 65th Congress, Session I, Chapters 105, 106, October 6, 1917). and again in 1933 with the Emergency War Powers Act, which is ratified and enhanced almost every year to this date by Congress. Today, these Acts address the people of the United States themselves as their enemy. 2nd: The District of Columbia Organic Act of 1871 created a private corporation (hereinafter “Corp. U.S.”, Trademark name, “United States Government”) owned and operated by the actual government for the purpose of carrying out the business needs of the government under martial law. This was done under the constitutional authority for Congress to pass any law within the ten mile square of Washington, District of Columbia (link to PDF image file of the full 1871 Act). 4th: Corp. U.S. began to generate debts via bonds etc., which came due in 1912; but, they could not pay their debts; so, the 7 families that bought up the bonds demanded payment and Corp. U.S. could not pay. Said families settled the debt for the payments of all of Corp. U.S.’ assets and for all of the assets of the Treasury of the United States of America. 5th: As 1913 began, Corp. U.S. had no funds to carry out the necessary business needs of the government; so, they went to said families and asked if they could borrow some money. The families said, “No.” (Corp. U.S. had already demonstrated that they would not repay their debts in full). The families had foreseen this situation; and, had the year before finalized the creation of a private corporation of the name “Federal Reserve Bank”. Corp. U.S. formed a relationship with the Federal Reserve Bank; whereby, they could transact their business via note rather than with money. Notice that this relationship was one made between two private corporations and did not involve government (see: The Clearfield Doctrine); that is where most people error in understanding the Federal Reserve Bank system—again, except by contract with Corp. U.S., it has no government relation at all. The private contracts that set the whole system up even recognize that; if anything therein proposed is found illegal or impossible to perform it is excluded from the agreements and the remaining elements remain in full force and effect. 6th: Almost simultaneously with the last fact (also in 1913), Corp. U.S. adopts (as if ratified) their own 16th amendment. Tax protesters challenge the IRS tax collection system based on this fact; however, when we remember that Corp. U.S. originally created their constitution by simply drafting it and adopting it, there is no difference between that adoption and this—such is the nature of corporate enactments. You must also note that this amendment has nothing to do with our nation, with our people or with our national Constitution; which already had its own 16th amendment. The Supreme Court ruled that it did nothing that was not already done other than to make plain and clear the right of the United States (Corp. U.S.) to tax corporations. We agree; considering that the IRS was created under the authority of Corp. U.S.
7th: Next (also 1913) Corp. U.S., through Congress, adopts (as if ratified) its 17th amendment. This amendment is not only not ratified, it is not constitutional; the nation’s Constitution forbids Congress from even discussing the matter of where Senators are elected: which is the subject matter of this amendment. According to the United States Supreme Court, for Congress to propose such an amendment they would first have to pass an amendment that gave them the authority to discuss the matter. 8th: Accordingly, in 1914, the Freshman class and all Senators that successfully ran for reelection in 1913 by popular vote were seated in Corp. U.S. Senate capacity only; respectively, the original jurisdiction Senate seats from their respective States remained vacant; because, neither the State Senates nor the State Governors appointed new original jurisdiction Senators to replace them; which is still required by the national Constitution for placement of a national government Senator. 9th: In 1917, Corp. U.S. enters W.W. I and passes their Trading with the Enemies Act. 11th: In 1933, Corp. U.S. is bankrupt; which forced what was called “a banking holiday” to exchange money backed Federal Reserve Notes with “legal tender” Federal Reserve Notes; accordingly, the Trading with the Enemies Act was adjusted to recognize the people of the United States of America as enemies of Corp. U.S.
12th: In 1935, the Social Security Act was formed to provide Corp. U.S. the “excess capital” needed to at least start paying some of the interest Corp. U.S. owed in the bankruptcy. Thereafter, if you were to ask the Social Security Administration for a relationship with their program (by filing an S5 form), they would [with the express purpose of generating Beneficiary funds to United States General Trust Fund (GTF) the Social Security Administration] create an entity with a name (that sounds like your name but is spelled with all capital letters) and an account number (Social Security number). They give you the Social Security card and let you know that the card does not belong to you but you are to hold it for them until they want it back. If you are willing to accept that responsibility over the card you activate the card by signing it, which gives you the ability to act as the fiduciary for the cards actual owner Corp. U.S. and you can use the card’s name and number to thus, transact business relations for the card’s actual owner. You are also to note that though the card verifies its agency (you as the single person with authority to control the entity so created) it is not for use as identification. On review: notice the Social Security Administration was the creator of the entity (cardholder), they offered you the opportunity to serve its Trustee capacity (by lending it actual consciousness and physical capacity), they gave you something (the card) that does not belong to you to hold in trust and they reserved the actual owner of the thing (Corp. U.S.) as the beneficiary of the entity—by definition, this only describes the creation and existence of a Trust. More importantly: the name they gave this Trust is not your name, the number they gave the Trust is not your number and your lending actual consciousness and physical capacity to this Trust’s Trustee capacity does not limit you or your capacity to separately act in your natural sovereign capacity in any way—what you do, when you do it and how you do it is still totally up to you (see: Corp. U.S’. Myth 9). 13th: In 1944, under the Bretton Woods Agreement, Corp. U.S. granted the International Monetary Fund (hereinafter, "IMF") drawing account access to the United States Treasury in exchange for the Corp. U.S. President acquiring control over the governors and general managers of the IMF; respectively, making Corp. U.S. a foreign controlled private corporation. 14th: In 1962, considering the states were forced to carry out their business dealings in terms of Federal Reserve Notes (foreign notes), which is forbidden in the national and State constitutions, out of that necessity, the states began protecting themselves from the people by forming corporations like Corp. U.S. Accordingly, those newly formed corporate state administrations began adopting Corp. U.S. suggested uniform codes and licensing structures that allowed better and more powerful control over the people, which thing the original jurisdiction governments of this nation had no capacity to do. Our Constitutions secure that the governments do not govern the people; rather, they govern themselves in accord with the limits of Law as it is derived from the people through the constitutions. The people govern themselves. Such is the foundational nature of our Constitutional Republic. 15th: By 1972, every State government in the union of States had formed such private corporations (hereinafter, “Corp. State”), in accord with the IMF’s admonition; and, the people ceased to seat original jurisdiction government officials in their State government seats. Now, having stated these historical facts, we ask you not to believe us; rather, prove these facts for yourself. We then ask you tocontact us and share your discovery with us. Further, it is very important that we stop trying to fix them; instead, hold them accountable to the law that already exists [see: “Call to Action”). Even more important we must reseat our original jurisdiction government and spread the word about the truth. By reseating our State and national governments in their original jurisdiction nature, we gain the capacity to hold these private foreign corporations accountable. They owe us a lot of money, in fact they owe us more money than there is available in the world. In fact, it is impossible for them to pay and that gives us the leverage we need to take back our nation and put things right. The process is a simple one. The difficulty is in getting our people to wake up to the truth. That’s why we ask you to prove the truth for yourself and contact us with your discovery. That means, you must stop acting and communicating like you are anything other than the sovereign you were created to be. And, stop referring to Corp. U.S. or the STATE OF 'X' as anything other than the private foreign corporations that they are. And, finally, stop listening to the Bigfoot Patriot Mythology that is espoused by those that only give these facts lip service. c) believing God will save us even though we have the tools to know the truth and the ability to use those tools but we refuse to live by the truth and use the tools we have—to save ourselves and thereby remain free. The biggest problem with that: people tend to get all excited about uniting against the tyranny of Corp. U.S., then while remaining blind to the truth and having no real remedy, they fall prey to patriot mythologists, agent provocateurs and predatory marketers and are convinced to bail out of “the system”, hell bent for a rebellion even scripture says cannot be won with conventional weapons of war. Certified Complaint - Lawsuit - Against FBI, CIA, NSA, DoD. STATEMENT: The EDF is a Corporation and doing business . . . as you know the US is a corporation, too (listed on Dun & Bradstreet). . . the idea that we have a representative government is a clever illusion that so far as tricked many people . . . everything is based upon Commerce, contract and grants . . . ALL through the executive branch via exec. order . . . 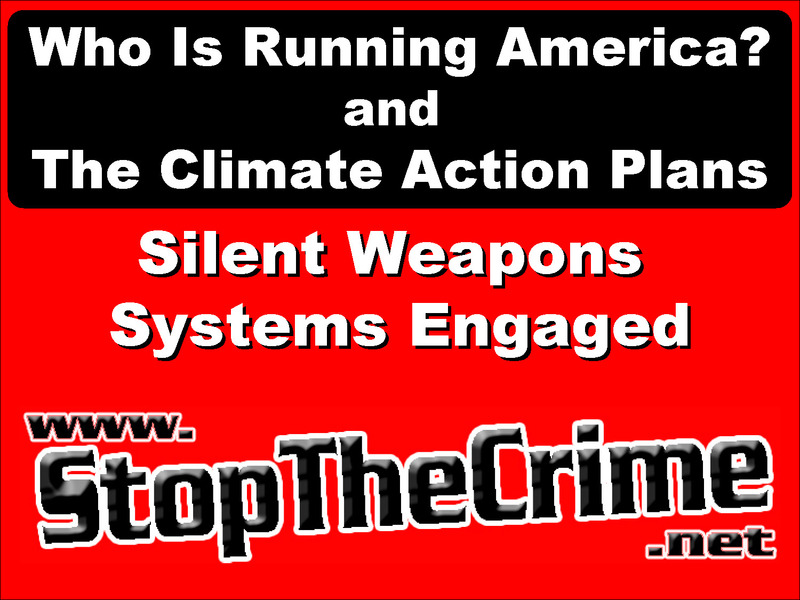 The - FCC, Inc., EPA, Inc., CDC, Inc. and more all gov inc. agencies doing business . . . REBUTTAL: EDF is a 501 (c) 3 non-profit. As is the environmental organization I chair, Friends of Merrymeeting Bay. And, as are most environmental groups like ours as well as most educational, religious, literary and scientific groups. Just because you are incorporated [as a non-profit or profit] does not have to mean you act like a bunch of prostitutes to big business, as EDF happens to do. Most of us have D&B numbers as well. Doesn’t mean a thing so not a good indicator of evil. ALL 501 (c) 3 non-profits are registered with the corporate STATE OF . . . . They are bound by the restrictions and statutes of the STATE OF . . . If they violate these restrictions, rules or statutes, they can lose their charter. If they strongly condemn or criticize the actions of the STATE OF, they can lose their charter. If they come down too strong against USA INC, the private corporation known as the IRS can trigger an audit . . . this has been done many times. This frightens these groups as the IRS has been known to falsify documents to shut down and/or punish those that too strongly oppose the banksters agendas. As we know the STATE OF is the banks and has been since 1933. 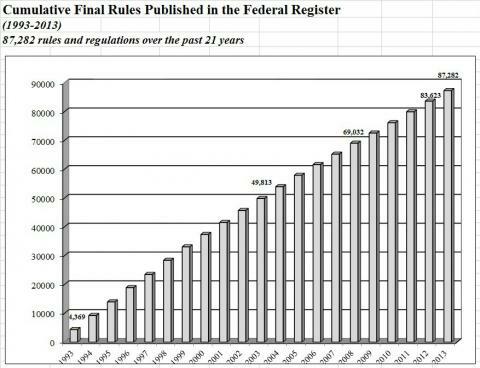 The Federal Reserve is at the root of most of our present statutory regulations, "laws", in the control and regulation of virtually all aspects of human activity in the United States, through successively socialistic constructions laid upon the Commerce clause of the Constitution. 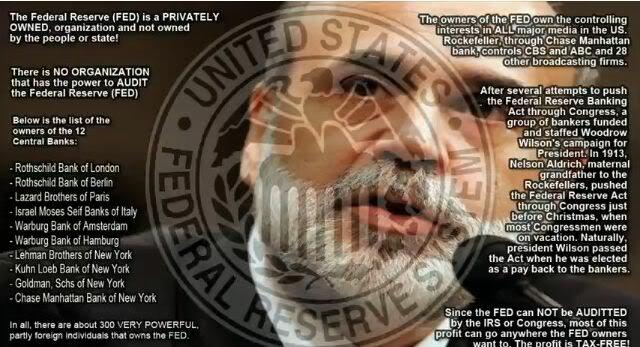 Basically, the Federal Reserve is the "STATE" of the United States. Lastly, follow the money! Very few 501 (c) 3 non-profits survive on membership alone. I was on the Board of Directors and I witnessed first hand how difficult that is. They generally take grants from 1) government and/or 2) foundations. Both government and foundation grants are contracts with strings attached. Why do good people with good energy and ideas submit paperwork to the STATE OF to create a non private corporation? Why don't they see that very few non-profits achieve their goals and put themselves out of business? Why don't they see that once they incorporate with the STATE OF they must follow the political agenda and corporate statutes of the STATE OF? Why don't they see that once incorporated the STATE OF owns their organization and the good people with good energy and ideas become employees of the STATE OF thereby limiting their ability to challenge the system they are trying to change? Non-profit corporations are not likely to come up with real solutions, as the real solutions lie in challenging the authority of the very same STATE OF corporation that holds their charter. USA INC. Lawless in America - The MAP . . . Think the Supreme Court protected your cellphone from warrantless searches? Think again . . .
We can NO longer tolerate government CORPORATIONS! each US President as annually extended the National State of Emergency, wherein the Rule of Law and the Constitution has been abolished . . . The United States is a "Counterfeit" Government - USA, Inc.
"1871, February 21: Congress Passed an Act to provide a government for the District of Columbia, also known as the Act of 1871. The act — passed when the country was weakened and financially depleted in the aftermath of the Civil War — was a strategic move by foreign interests (international bankers) who were intent upon gaining a stranglehold on the coffers and neck of America. Congress cut a deal with the international bankers (specifically Rothschilds of London) to incur a DEBT to said bankers. Because the bankers were not about to lend money to a floundering nation without serious stipulations, they devised a way to get their foot in the door of the United States. The Act of 1871 formed a corporation called THE UNITED STATES. The corporation, OWNED by foreign interests, moved in and shoved the original Constitution into a dustbin. With the Act of 1871, the organic Constitution was defaced — in effect vandalized and sabotaged — when the title was capitalized and the word “for” was changed to “of” in the title. THE CONSTITUTION OF THE UNITED STATES OF AMERICA is the constitution of the incorporated UNITED STATES OF AMERICA. The country was changed, by stealth, from a Constitutional Republic to a corporation. " Even the former attorney for the World Bank, Karen Hudes, has admitted publicly many times that there are TWO Constitutions. While many do not agree that the Jesuits are responsible for this attack against the American people, her research regarding what has happened to our country cannot be ignored. Your Social Security Number - You MUST Have an SSN or You Can NOT Conduct . . .
To take a loyalty oath to support, defend and obey the Constitution now is to swear an oath to your Masters to be ever loyal to them! LIES REVEALED . . . The Secrets of the Political and Legal History . .Complete work by Judge Dale . . .
at the local police pub, they would discover that the amended version of the “Trading with the Enemy Act of 1933,” by President Franklin D. Roosevelt, specifically identifies the American citizen as the enemy of the Federal Government! These promissory notes were called Federal Reserve Notes and our future treatment by the U.S. Government was to be redefined under USC Title 50, ‘The Trading with the Enemy Act’ in which American citizens are defined as, “an enemy of their government” and this is the reason why Lincoln’s Declaration of War [or national emergency] is renewed yearly by Congress and the President! Proof that Obama renewed his declaration of national emergency in 2012 and 2013.
tied together to create the secret fascist government of the United States. AIB Radio exposes the CRIS Fund - Here is a video clip to help folks understand that the Federal Reserve is engaged in human trafficking of the American people. Here is a copy of their corporate charter. Scroll down this page for more affirmation that "We" are enemies of the state. The IRS is a private corporation, founded the same year as the US Bankruptcy and chartered in Puerto Rico. More people need to look at the Federal Reserve and the central banking cartel to figure out what is going on. From All Wars are Banker's War - an absolute MUST READ! Then in 1970, France looked at the huge pile of paper notes sitting in their vaults, for which real French products like wine and cheese had been traded, and notified the United States government that they would exercise their option under Bretton Woods to return the paper notes for gold at the $35 per ounce exchange rate. Of course, the United States had nowhere near the gold to redeem the paper notes, so on August 15th, 1971, Richard Nixon "temporarily" suspended the gold convertibility of the US Federal Reserve Notes. This "Nixon shock" effectively ended Bretton Woods and many global currencies started to delink from the US dollar. Worse, since the United States had collateralized their loans with the nation's gold reserves, it quickly became apparent that the US Government did not in fact have enough gold to cover the outstanding debts. Foreign nations began to get very nervous about their loans to the US and understandably were reluctant to loan any additional money to the United States without some form of collateral. So Richard Nixon started the environmental movement, with the EPA and its various programs such as "wilderness zones", Roadless areas", Heritage rivers", "Wetlands", all of which took vast areas of public lands and made them off limits to the American people who were technically the owners of those lands. But Nixon had little concern for the environment and the real purpose of this land grab under the guise of the environment was to pledge those pristine lands and their vast mineral resources as collateral on the national debt. The plethora of different programs was simply to conceal the true scale of how much American land was being pledged to foreign lenders as collateral on the government's debts; eventually almost 25% of the nation itself. Here is an excerpt from Judge Dale's The Great American Adventure explaining the Bankruptcy of '33. People made 'enemies of the state' in 1933 and 'President' given dictatorial powers via the permanent state of national emergency. In his inaugural address, Roosevelt said: "I shall ask the Congress for the one remaining instrument to meet the crisis--broad executive power to wage a war against the emergency, as great as the power that would be given me if we were in fact invaded by a foreign foe." In his first important official act, Roosevelt proclaimed a National Bank Holiday on the basis of the 1917 Trading With the Enemy Act - itself a wartime delegation of power. The Trading With the Enemy Act had, however, been specifically designed by its originators to meet only wartime exigencies. By employing it [to the American population] to meet the demands of the depression, Roosevelt greatly extended the concept of "emergencies" to which expansion of executive powers might be applied. And in so doing, he established a pattern that was followed frequently: In time of crisis the President should utilize any statutory authority readily at hand, regardless of its original purposes, with the firm expectation of ex post facto congressional concurrence. "I think of all the damnable heresies that have ever been suggested in connection with the Constitution, the doctrine of emergency is the worst. 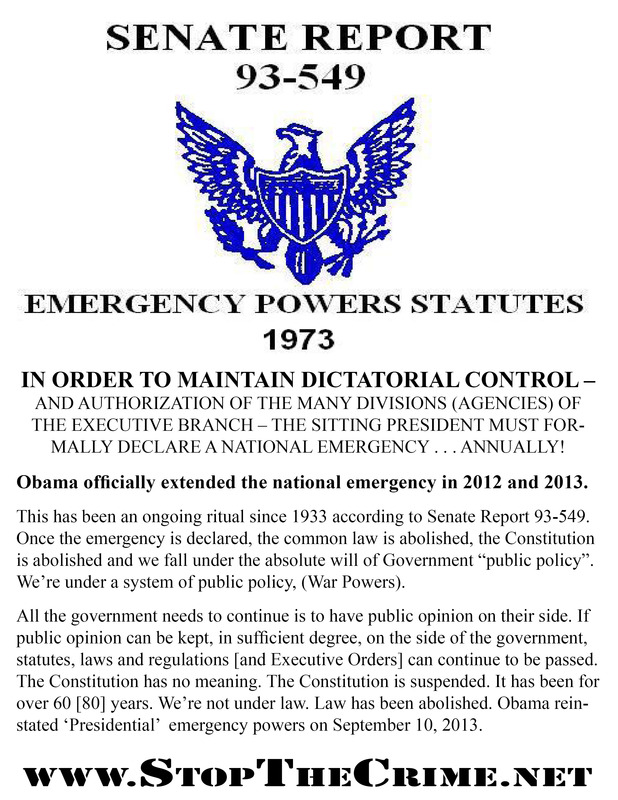 it means that when Congress declares an emergency, there is no Constitution. This means it's death. It is the very doctrine that the German chancellor is invoking today in the dying hours of the parliamentary body of the German republic, namely, that because of an emergency, it should grant to the German chancellor absolute power to pass any law, even though the law contradicts the Constitution of the German republic. Chancellor Hitler is at least frank about it. We pay the Constitution lipservice, but the result is the same." North says that what Congressman Beck was saying is "that, of all the damnable heresies that ever existed, this doctrine of emergency has got to be the worst, because once Congress declares an emergency, there is no Constitution." "But the Constitution of the United States, as a restraining influence in keeping the federal government within the carefully prescribed channels of power, is moribund, if not dead. We are witnessing its death-agonies, for when this bill becomes a law, if unhappily it becomes a law, there is no longer any workable Constitution to keep the Congress within the limits of its Constitutional powers." "Since March the 9th, 1933, the United States has been in a state of declared national emergency."